Busy Beaver or Lazy Sloth? We’ve already discussed the theory here. This category was not included in the original research – we decided to add it as a bonus type. Why? 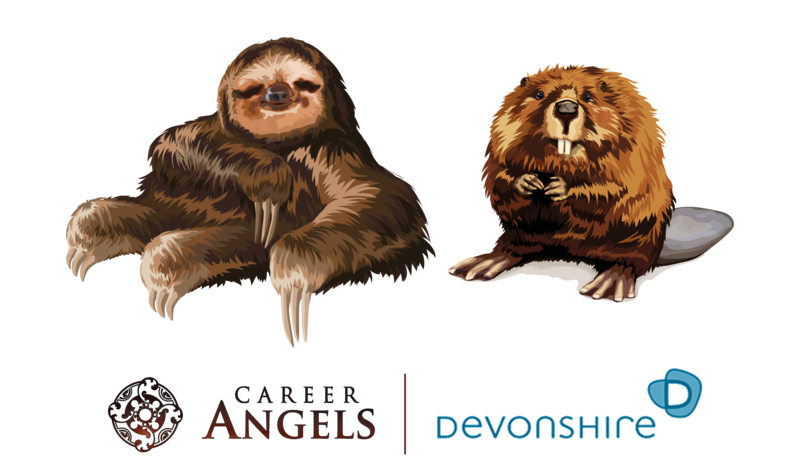 Because irrespectively of your career personality, you might have (un)knowingly acquired characteristics of the busy beaver or the lazy sloth. Allow me to explain. You would love to explore the world and the infinite possibilities companies, start-ups and projects have to offer. BUT your girlfriend got pregnant and instead of changing regularly every 2-4 years, you stay at the same company. A steady paycheck with a new family seems the more responsible thing to do. 10 years later you are still there. Too comfortable to stop and analyze what happened. Another 5 years later you are still there. Or. You are really good at what you do. Your dream company appreciates your competencies and moves you regularly from department to department. From project to project. After 8 years you realize it might be time to see what’s on the market. Maybe the grass is indeed greener on the other side. But right now you don’t have time to look for a job. You gotta finish that one project and then. And then you get an even more exciting opportunity from within and temporarily forget about your job hunting thoughts. A year later a headhunter contacts you. You don’t reply… jeee.. you would have to refresh your old CV. No time. Your company gets you involved in a super important 2-year restructuring project. Wow. You’ll change after that… and all of the sudden… you, the busy beaver, are still at the same company. Working busily for others. Forgetting about yourself. What is your experience with Busy Beavers and Lazy Sloths? How easy / difficult is it to identify them? How easy is it to expose career personalities “with a mask”? Have you had cases where neither you nor the client detected somebody’s core and the candidate was therefore let go? Maybe you had to fix a failed recruitment project because of that reason? – “I won’t waste any time with a recruitment process that I don’t even know anything about. Maybe it’s not worth it.” – Lazy Sloth who hasn’t even read yet the job description. – “I can only meet after working hours.” – and then they cancel 5 minutes beforehand if at all. A professional who has been with his company for 15 years reacted to a job ad posted by Devonshire. Reason? His company was re-sizing and offered their employees a very lucrative, attractive voluntary severance package. He decided that this was a good moment to leave. During our interview, he told me about his projects passionately and with dedication. Working busily he had lost perspective. He realized that he had missed certain opportunities. And, he was surprised when I told him that he could be making twice as much. He admitted that he regretted not having made a change earlier. Summarizing, understanding a candidate’s motivation is key. What makes them tick? Why don’t they change? Weeding out the sloth from the others is crucial. How? Competency-based interviews using the STAR method. I always do my best at being very thorough as I understand the negative consequences for my clients. As Kinga hinted: those are generalizations. And, as it so often happens with generalizations, they might seem somewhat unfair. One man’s meat is another man’s poison. You have to look at both sides of the medallion… and sometimes at a third: loyal dogs, being often busy beavers, are invaluable for their company, but a real nightmare for a headhunter, who might wrongly perceive them as lazy sloths as they don’t respond to emails, LinkedIn invitations and calls from headhunters. That doesn’t necessarily mean they are lazy. They might simply not be interested in a job change. They are satisfied with their positions and convinced they do not want to lose their and the headhunter’s time on a pointless interview. That’s why they see no point in updating their CV, online profiles, etc. However, those candidates forget about one important thing: nothing lasts forever. One day they lose their jobs and feel completely helpless. No market knowledge, no experience with recruitment processes, no idea how to properly prepare application documents, etc. No valuable contacts with recruiters they could reach out to. I remember receiving replies to unanswered emails and inquiries from candidates after 2-3 years who desperately try to establish any connection with the market. 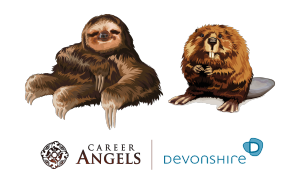 Summing it up: whoever you are, a busy beaver or a lazy sloth, do not underestimate the possibilities, be up-to-date with the market, and build a network of contacts, reply kindly to interested parties. Communicate precisely. Don’t be inconsistent in your behavior. That will confuse the recruiter or hiring manager and lead to unnecessary speculations as to your motivation and “true colors”. Even if you are satisfied with your current position, be open. One day you may be presented with an offer that you haven’t even dreamed of.